Somewhere in the world someone is dedicating Guns ‘N Roses Welcome to the Jungle to the poor sucker who proposed to Jenelle Evans of Teen Mom 2 fame. Jenelle made the announcement during a live chat on her Ustream account immediately after an episode of TM2 aired. Who is the lucky guy? Well, that would be Courtland Rogers, her boyfriend of only 2 months. The two have been together for only 2 months and already getting married? Shotgun wedding perhaps??? Well, Jenelle quickly put the kibosh on any pregnancy rumors and made the mysterious statement, “If you knew the reason, you would understand why we are taking this step. I hope you guys are happy for us.” WTF, Jenelle! Love should be the only reason for getting married at your age. Either that or you are looking for someone to take care of you and your kid, but seeing as how you gave your kid away to your mom then there has got to be a much juicier reason for marrying this guy you barely know. There was a report that Courtland is in the middle of a custody war with his baby mama. Perhaps this is a ploy to get his daughter, but I just can’t see Jenelle being that selfless. Besides, going this route is not going to help anyone, but his ex. Once the judge takes a look at Jenelle’s record, which consists of drug convictions, he/she won’t bother to hear anymore on the case. Child awarded to the mom, the end. Whatever the reason for the rush marriage hopefully Courtland can help tame Jenelle and her sh***y attitude. I mean seriously…who the hell talks to their mother the way she does? Jenelle, perhaps you should look into treatment instead of bringing your problems to a man who just wants his daughter. Teen Mom 2 Jenelle Evans’ Kieffer Delp In Jail Again! 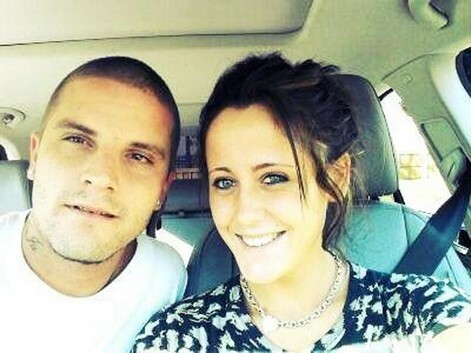 Teen Mom 2 Star Jenelle Evans And Courtland Rogers Break Up!